Across American History, there are mysterious objects and places across the nation. People have built giant geoglyphs in California, mysterious lights continue to appear in various places, petroglyphs and carved designs of ancient and uncertain origin have been recorded, and ancient legends tell of hidden cities and giants. 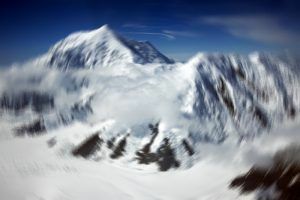 Alaska Triangle – Disappearing Into Thin Air – The Alaska Triangle, sometimes called Alaska’s Bermuda Triangle, is a place in the untouched wilderness of the Frontier State where mystery lingers and people go missing at a very high rate. America’s Mystery Lights – Across the country, there are a number of ghost lights, spook lights or mystery lights that occur. Not all can be explained away. 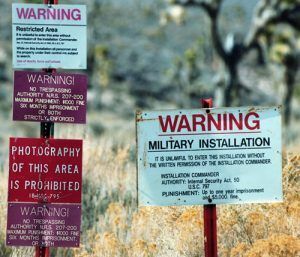 Area 51 – What are the mysteries associated with the famous “secret” military base which covers over 80 miles north of Las Vegas, Nevada? 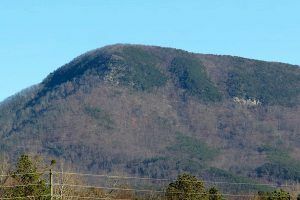 Benington Triangle of Vermont – Centered around Glastenbury Mountain in southwest Vermont, this area has long been cursed according to Native American lore. Over the years it has been a hotspot for UFO activity, bigfoot sightings, and strange lights and sounds. It is also the location where five people disappeared between 1945 and 1950. Bighorn Medicine Wheel in Lovell, Wyoming – Lying at an altitude of 9462 feet near the summit of Medicine Mountain in the Bighorn National Forest of north-central Wyoming is the Bighorn Medicine Wheel. Blythe Intaglios – Nazca Lines in California – Intaglios, also called geoglyphs, are gigantic human or animal figures drawn on the ground’s surface. While the most famous geoglyphs in the world are the Nazca Lines in Peru, there are over 200 intaglios in the Colorado Desert of the American Southwest. They are the only known desert intaglios in North America. Bridgewater Triangle, Massachusetts – Located in southeastern Massachusetts is the Bridgewater Triangle, an area of about 200 square miles, that has been the site of legends and curses for centuries, and has been said to be called home to strange phenomena including ghosts, Bigfoot, UFOs, and strange creatures. Devil’s Promenade & the Hornet Spook Light – Bobbing and bouncing along in the Tri-State area of southwest Missouri, southeast Kansas, and northeast Oklahoma is an orange ball of light. Referred to as the Hornet Spook Light and the Joplin Spook Light, the firelike orb, described as varying from the size of a baseball to a basketball, dances and spins down the center of the road at high speeds, rising and hovering above the treetops, before it retreats and disappears. The Dighton Rock – A 40-ton boulder, originally located in the riverbed of the Taunton River at Berkley, Massachusetts, is noted for its petroglyphs and carved designs of ancient and uncertain origin. 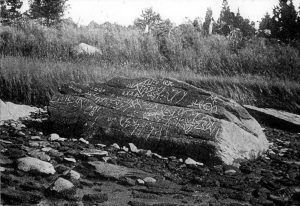 The Grave Creek Stone – Scholars and archaeologists have been arguing about the authenticity of the Grave Creek Stone since it first surfaced in 1838. Discovered during the excavation of the Grave Creek Mound, in West Virginia, the small sandstone disk could provide evidence of a primitive alphabet. Great Serpent Mound of Ohio – An internationally known National Historic Landmark, Serpent Mound is a 1,348-foot-long, three-foot-high prehistoric effigy mound on a plateau along Brush Creek in Adams County, Ohio. Representing a snake with a curled tail, it is the largest serpent effigy in the world. The Hidden City of Death Valley – Mummies — Giants — Underground Caverns! So said a San Diego, California newspaper in describing an event in Death Valley in 1947. This story and more telling of a lost race beneath the sands of Death Valley. Legends of Fort Mountain, Georgia – Legends say that the wall on Fort Mountain, Georgia was built either by the Moon-eyed people according to Cherokee lore or to a Welsh prince who was said to have made his way to America in 1170. Mel’s Hole – This nine-foot-wide bottomless hole near Manastash Ridge in Washington State is rumored to “reanimate” dead animals. Mount Shasta – A Cosmic Power Spot – Near Redding, California, Mount Shasta is filled with mysteries including UFO sightings, crystal caves, spontaneous altered states, underground military bases, and even rumored to be the home to Lemurians, surviving members of a sensitive super-race some believe existed 12,000 years ago during the time of Atlantis. The Moving Stones of Death Valley – In what is called the Racetrack Playa, in Death Valley, large rocks move along the smooth valley floor without human or animal intervention. 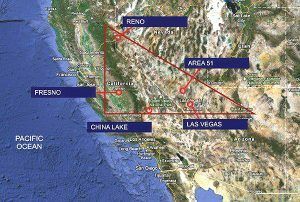 Nevada Triangle – In a mysterious area of Nevada and California, thousands of planes have disappeared. Conspiracy theorists have long claimed these disappearances may be connected to Area 51. The Roswell Incident – The hot summer of 1947 brought something new to Roswell, New Mexico, other than it historic contingent of Indians, Spaniards, longhorn cattle, and cowboys. That was the summer that the Roswell skies, as well as the heavens all over America, were filled with unidentified flying objects – UFO’s! San Francisco’s East Bay Walls – Who built these ancient walls, ranging along the hills east of San Francisco Bay? With boulders weighing more than a ton, there is no explanation who, how, or why these walls were built. 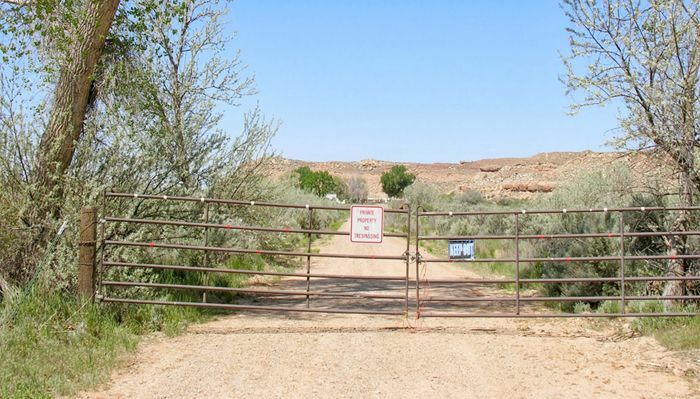 Skinwalker Ranch – This 480-acre compound in northeastern Utah is the site of many unexplained—and harrowing—incidents including roaring underground noises, the appearance of menacing blue orbs, attacks by shape-shifting beasts, and evidence of animal mutilations. Stone Chambers of New England – Hundreds of distinctive stone structures are found all over New England that are of a design and form that have been found nowhere else in North America. Though many historians and archeologists believe these many structures were built by early colonists as root cellars, or perhaps by Native Americans before them, others believe that some of these chambers are ancient, built by European travelers during the Bronze Age.